Nearly two years after its initial launch, Street Fighter V finally feels like a complete package with the Arcade Edition update. 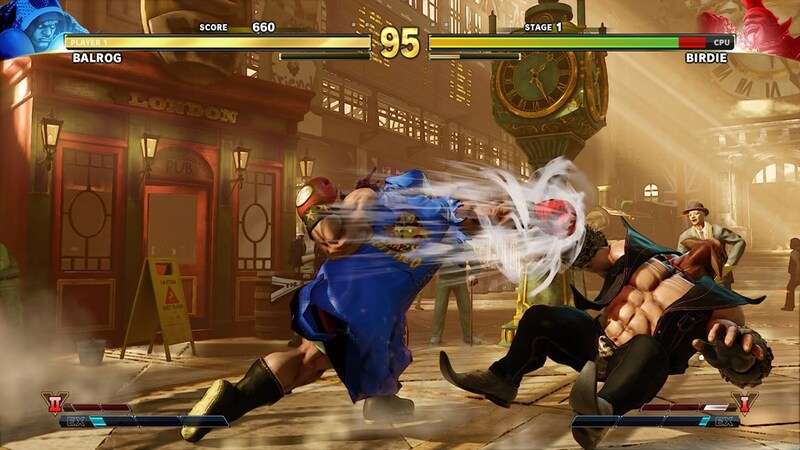 Available as a free update for current SFV owners, or as a stand alone release for new players, Street Fighter V Arcade Edition cleans up the interface, adds some beefy single-player modes, and changes up the gameplay with some tweaks and additions to make it even better. I hate the “This is the game they should have released at the beginning” sentiment, but it is totally appropriate here. Forget all the bad stuff you may have heard about Street Fighter V – Arcade Edition fixes almost all of it. Continue reading for our full PS4 review written with new players in mind. 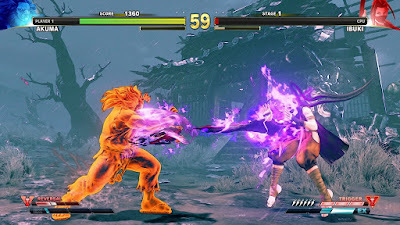 To get the basic stuff out of the way – Street Fighter V Arcade Edition is available both as a free update to existing SFV players as well as a stand alone release for new players, but there is a key difference – If you buy the Arcade Edition release for $40 you get access to all 28 of the characters released so far without having to earn in-game fight money or buy them with real money. 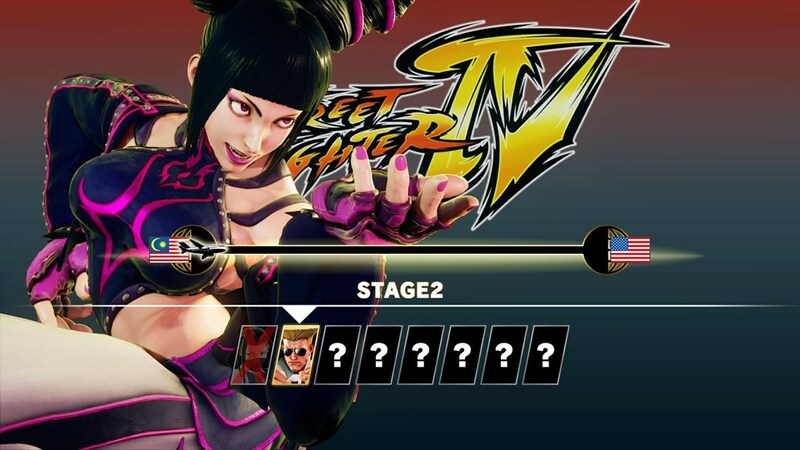 If you are upgrading to the Arcade Edition from vanilla Street Fighter V you don’t unlock access to the 12 extra characters, unfortunately, and still have to unlock them. Current owners do get the new Arcade Mode and other additions in the Arcade Edition for free, however. Basically, if you already own SFV, the free Arcade Edition update gives you the Arcade Mode, character balance changes, second V-Trigger for every character, and other tweaks and additions. If you don’t already own SFV and buy the Arcade Edition for $40, you get Street Fighter V plus all of the additions made over the last two years (like challenge mode, story mode, etc. ), the 16 characters from the base game, 12 additional characters from the first two DLC seasons (they’re available from the start, you don’t have to unlock them), and the new Arcade Mode and other additions from the AE update. If you don’t already own SFV, the Arcade Edition is a pretty darn good deal. Even if you buy the Arcade Edition there is still a lot of other DLC out there to buy, such as a wide range of premium extra costumes, new stages, and upcoming season 3 characters. Here is where things get kind of messy, though. With the exception of premium costumes (that are only available by spending real money), all of the other DLC in Street Fighter V can be unlocked either by paying real money, or for free by earning in-game “Fight Money”. Capcom’s plan all along was that you would buy just Street Fighter V vanilla in February 2016 and then be able to unlock any new characters, stages, or non-premium costumes by earning in-game currency and getting the new stuff for free. The problem, however, is that Fight Money is relatively hard to come by unless you have the time and skill to grind away online, so actually unlocking everything for free is pretty much a fantasy that makes for good PR but isn’t realistic. With the Arcade Edition update Fight Money is actually even harder to earn than it was before, too, so hoping to unlock all of the upcoming Season 3 characters and other stuff without spending any more real cash probably isn’t going to happen. I get it that Capcom wants to keep making money off of Street Fighter V without forcing people to buy new versions every couple of years like they did with every other Street Fighter release, but the Fight Money economy is totally unbalanced to the point it seems unfair. It’s like they’re teasing fans by saying you can earn all of the content for free, but that will be pretty much impossible for most players. It’s all a weird complicated system that was a big reason why I didn’t ever play Street Fighter V until the Arcade Edition came out. The game was extremely bare bones back at launch, and then having to jump through hoops to get more characters was really unappealing to me. While the Fight Money nonsense is present with Arcade Edition, at least you’re getting a fully-featured game with tons of modes and 28 characters for your $40 investment, which puts it in line with other current-gen fighters, so I’m okay with it. For new features, the biggest and most important in SFV Arcade Edition is the addition of a real, actual, proper arcade mode that the game has been missing. Crazy to think that a fighting game didn’t have a “Fight X# of CPU Opponents In a Row And Get a Story Scene” mode, right? Capcom really went above and beyond when it added the Arcade Mode to SFV, however, as you’re getting not just one arcade mode but a separate mode for each game in the Street Fighter series, which is pretty darn cool. When you play Arcade Mode you select which game you want to play, and then choose your character from those that were actually available back at the time (so my favorite Juri, for example, is only available in the SF4 and SF5 arcade modes) and then play though a series of fights with the appropriate characters and story beats for that game. Arcade Mode is awesome. As for gameplay, well, the gameplay was never the problem with Street Fighter V and it’s just as great after the tweaks and additions made in the Arcade Edition. All of the current characters got some buffs / nerfs / move tweaks and the whole cast now has a second V-Trigger. As someone who never played Street Fighter V before and am coming in from Ultra SFIV, I gotta say Street Fighter V is pretty darn fun. It feels a touch slower than SF4, but I got used to it pretty quickly. I like how the focus system has turned into the V system as a way to parry / counter opponents. I never used focus very much in SF4 (I admit, I’m scrub tier through-and-through) but I use the V system in SFV a lot since every character has unique skills and abilities now, and also because the timing for using it isn’t nearly as tight as focus was. I also dig SFV’s V-Trigger system where you build a meter with V-Skills and then burn the meter as a sort of comeback mechanic like we’ve seen in a lot of modern fighters. The cool thing about V-Trigger is that every character’s V-Trigger is unique and gives them exclusive special abilities for a brief time. Now that every character has two V-Triggers, matches will get even more strategic and dynamic with what characters players choose and how they counter opponents based on what V-Trigger they choose. All in all, Street Fighter V Arcade Edition is a fantastic update to Street Fighter V. In particular it is a great package for new Street Fighter V players to buy and jump in without having to deal with all of the drama from the game’s tumultuous first two years. Buying The Arcade Edition right now gives you 28 characters, a ton of single player modes, and the fantastic local and online multiplayer the series is known for, all for $40. Forget the negatives you may have heard about a thin roster and lack of content – Street Fighter V has improved tremendously since launch and the Arcade Edition is the perfect place to start. If you’ve been on the fence about Street Fighter V, buy it.